Clay Aiken has found a new calling in life: politics. 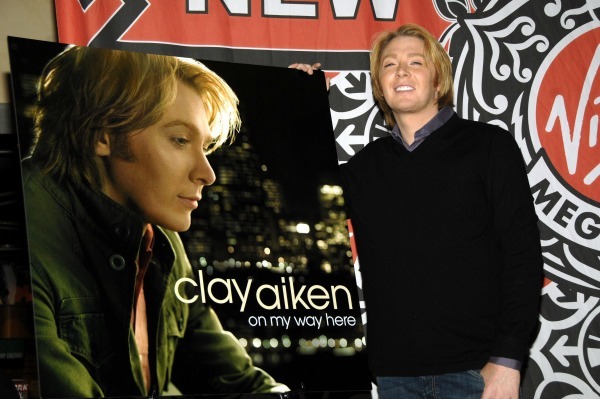 Singer Clay Aiken has decided to try his hand at a whole new career. The American Idol runner-up confirmed today that he is running for a congressional seat in North Carolina, and he aims to defy expectations not only of what an entertainer can do, but also of what North Carolinians really want. In a nearly five-minute long emotional campaign video, Aiken explains his poor background, fleeing from his abusive father and how working as a special education teacher affected him. He also acknowledges that some might find it a stretch for an American Idol contestant to make a foray into politics, but says he knows what he’s talking about when it comes to the good of his fellow citizens. The singer plans to tackle how education affects jobs and the economy as his campaign themes, and challenge incumbent Rep. Renee Ellmers on her voting record of cutting funding for military families. Aiken, who came out in 2008, said he doesn’t believe his sexuality will make a difference in the traditionally conservative state. “Renee best represents the values of the voters in the 2nd District and remains focused on fighting for their families,” campaign spokesperson Jessica Wood told The News & Observer. Tell us: Would you vote for Clay Aiken?